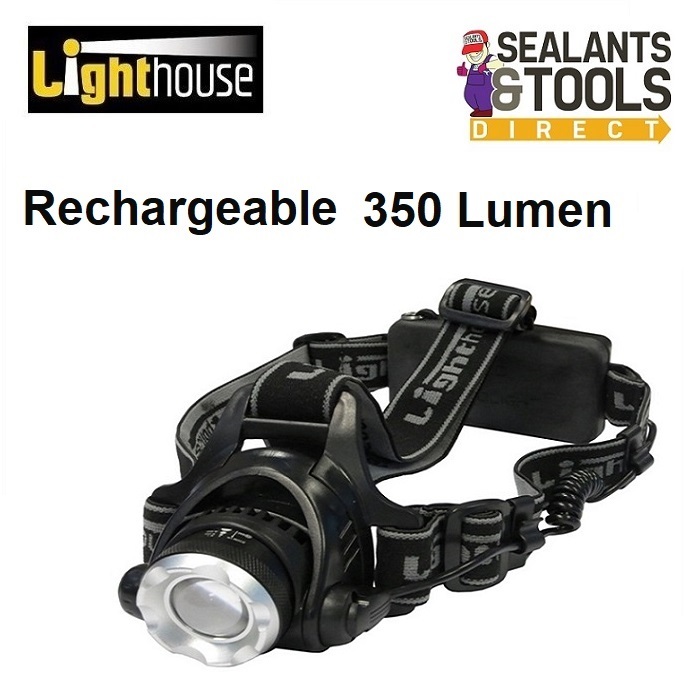 Lighthouse EHEAD350R is a rechargeable high-performance Chip LED headlight. Featuring focus control and three output options of high, low or strobe. This top of the range headlight features the very latest LED that provides a super bright beam of light from a single source. LEDs are unsurpassed in both output and efficiency providing long running times with a life span of over 100,000 hours. The headlights powerful rechargeable Li-ion batteries will provide a 350-lumen strobing beam lasting up to five hours or a 150-lumen beam for up to 10 hours on a single charge. The torch has a virtually unbreakable polycarbonate optical reflector lens and an adjustable head strap with an adjustable lamp that tilts up to 90°. It is shockproof and rain resistant and is supplied complete with a mains charger.